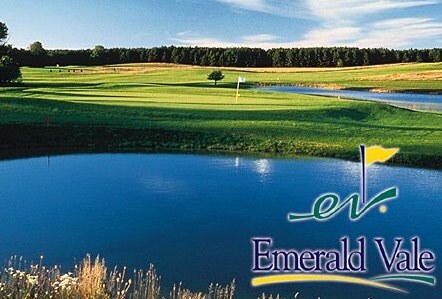 Carved from some of the most scenic land in Wexford County, Emerald Vale’s natural beauty is enhanced by a creative and challenging design that will satisfy both the accomplished and novice golfer. Panoramic views combine with an attractive natural terrain to create the quiet charm and elegance of this Bruce Matthews III masterpiece. Add the uncompromising commitment to excellence by Emerald Vale’s staff, and this 18 hole design has the makings of a timeless classic. 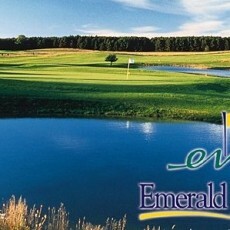 The par 72 Emerald Vale plays from 5277 to 6785 yards with 120′ of elevation change, broad fairways and spacious greens.